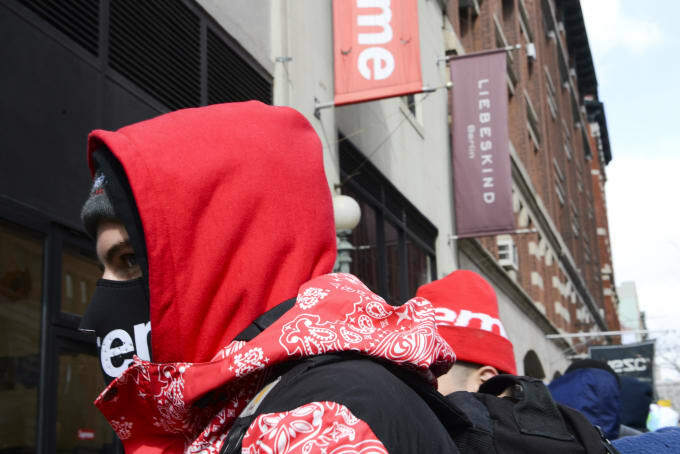 It's literally freezing in New York City today, but that didn't stop eager fiends from standing in line for a chance to cop the first few pieces from Supreme's Spring/Summer 2015 collection. The massive product offering and accompanying lookbook followed the usual Supreme model of dropping on a Thursday, with select pieces dropping each week. The line outside the Lafayette Street store had been going on as early as last night. Key pieces released today include a patchwork fur coat, this season's sticker and T-shirt campaign featuring Neil Young, and of course, off-kilter accessories like a portable Mophie charger. If anyone thought that Supreme fell off in recent seasons, consider the dedication of these brave souls who were willing to wait in frigid temperatures just go shopping as a testament to the brand's continued relevance. 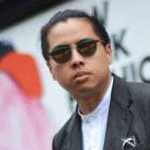 Here's Street Style at the Supreme Spring/Summer 2015 Drop. All photography by Liz Barclay.